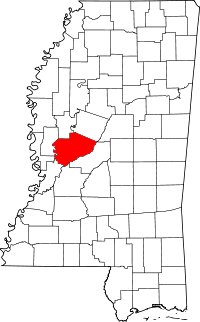 Yazoo County, which means "river of death" according to a local legend, has a variety of ways to access the records of the area. The Circuit Clerk's and Chancery Clerk's offices are at 211 East Broadway Street in the county seat of Yazoo City, and they are in charge of marriage and property records, respectively. Birth and death records can be obtained through the Mississippi Department of Health, which operates its own vital records division that keeps track of births and deaths for the whole state. The division office is at 571 Stadium Drive in Jackson, MS. Applications for birth and death certificates are available via its main website, and those applications can be taken into the office in person, or mailed in to Public Health Statistics, P.O. Box 1700, Jackson, MS, 39215-1700. Applications can also be submitted by phone at (601) 576-7981, and online.